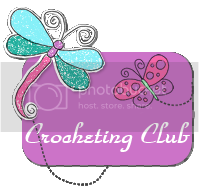 Crocheting Club: Yarn doesn't have to be boring!
. 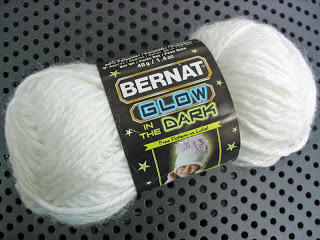 It reminds me of Bernat Satin or Red Heart Soft - silky shiny acrylic yarn. It comes in pure white and baby pastels. In the pink, yellow, green, blue, and lilac, you can see the white glowing ply twisted around the color plies. Love this idea. 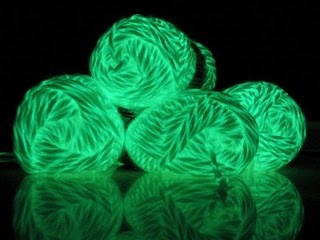 Where can you get this yarn at? Visiting from Linky Love and now following. OMG~OMG~OMG!! I have been wanting this stuff for 2 yrs! I'm liking your blog! New follower.. 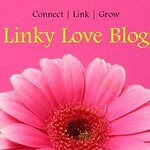 Visiting from Linky Love, new follower! I too love yarn! Machine washable and dryable, with the filament? Very cool! I wish they had this when my kids were younger, now they are just old enough to find it not cool LOL.